If you’re dreaming about that next great place to discover, a luxury experience of Chile could be yours. Don’t just travel to one of the most geographically diverse countries in the world, experience it in style as part of a VIP exploration thanks to Boutique South America and Nomade Unique Experiences. 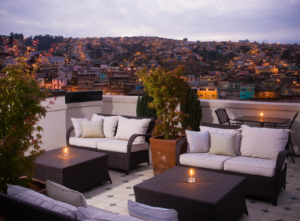 Start your journey in the sophisticated capital of Chile, Santiago or ‘Sanhattan’ as it is referred to by some because of its cosmopolitan charm, staying in one of the city’s most exclusive hotels, the Luciano K boutique hotel. 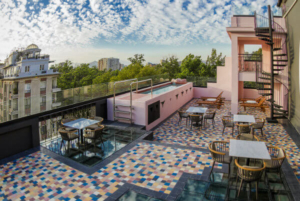 Luciano K is an architectural marvel, a refrubished art deco delight whose rooms and interiors blend old world glamour and modern elegance effortlessly and also has one of the best rooftoop views of the city you can find! Continue for a side trip to bohemian Valparaiso, a hillside city with a fascinating history and vibrant cultural and art (specifically street art) scene. Here you can indulge your inner wanderer as you explore this UNESCO world heritage city, whilst spending it at the incomparable Casa Higueras hotel. Undeniably the best option in town, the Casa Higueras design hotel is an impeccably refurbished mansion offering gorgeous rooms, full service restaurant and hillside terraces and pools for the classiest of stopovers. 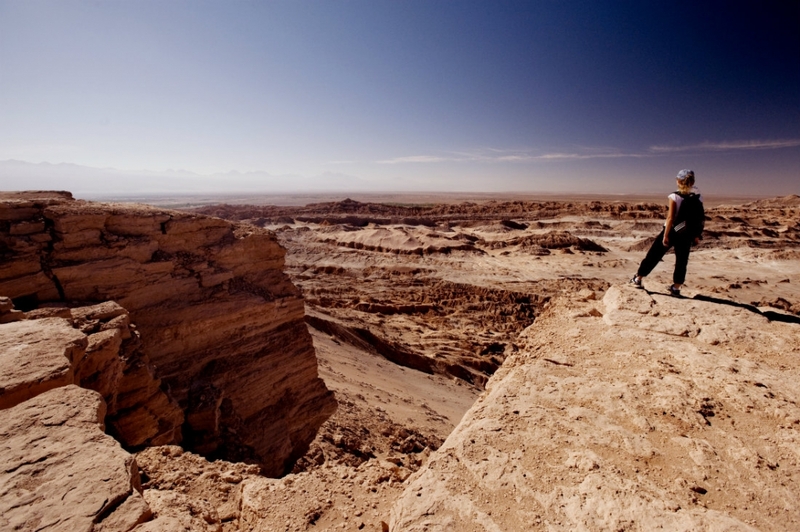 Return back to the city for your flight to Calama to start your astounding Atacama exploration. 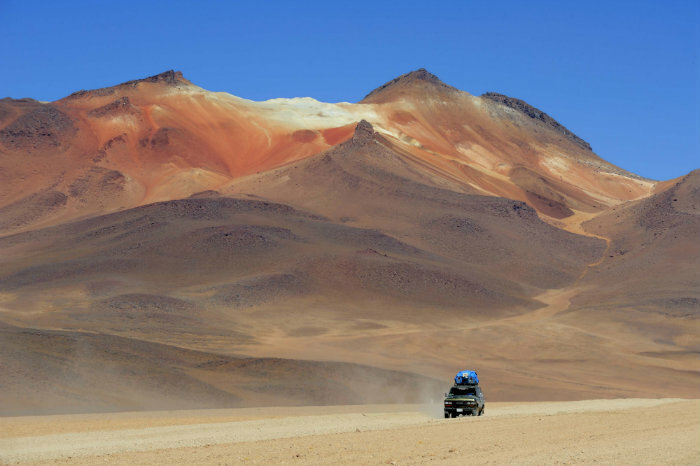 This desert is the driest in the world, but filled with spectacular surrounding landscapes and natural features such as salt flats, flamingo filled lagoons, geyser fields and unforgettable colour filled sunsets and sunrises. 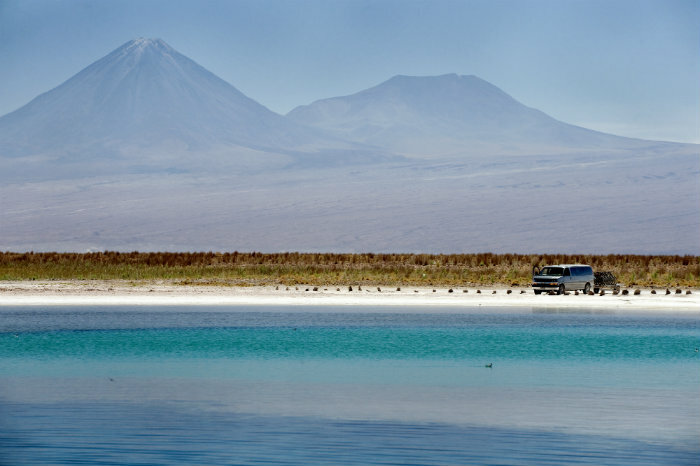 Enjoy an experiential program with Explora Atacama, a deluxe adventure lodge which includes your choice of daily excursions as well as meals, drinks and transport. You will have an extensive range of more than 40 explorations to choose from, ranging from vehicle, mountain biking, trekking, horseriding and even astronomy tours so you can immerse yourself in the landscapes and culture of this fascinating region in your own personalised way. Explora Atacama prides itself on providing an exceptional level of service, incredibly knowledgeable guides and is also blessed with exclusive access to nearby Puritama Hot Springs as well a private observatory in one of the best places for star gazing in the world. Get in quick to enter the draw for an ultimate 8 day adventure though Chile. Entry Open To All Australian Residents Over 18 years of age. Draw closes 30 June 2017. Win a VIP Trip to Chile! 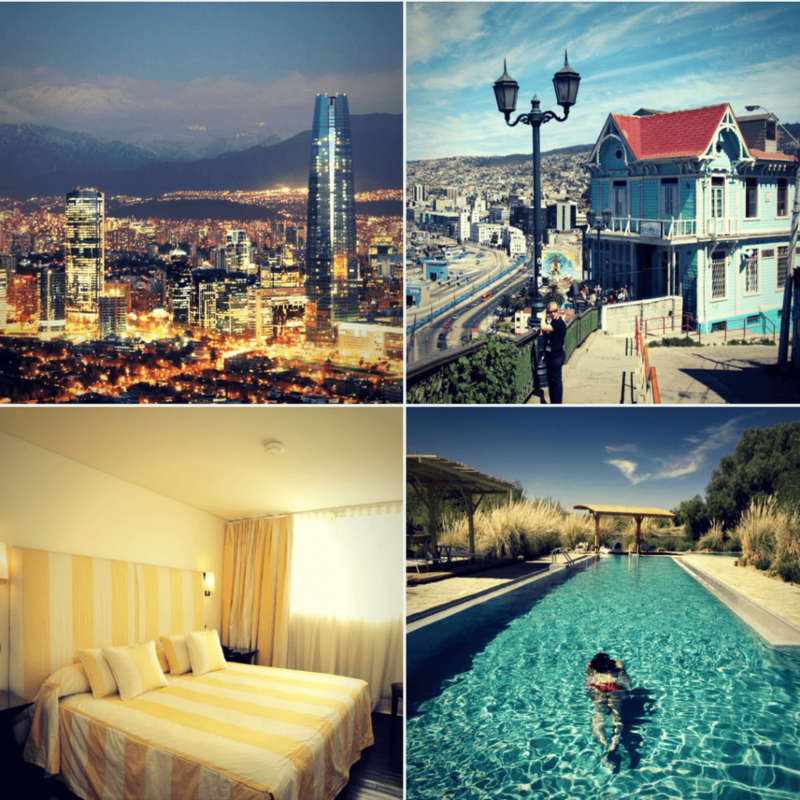 Terms and Conditions – Win a VIP Trip to Chile . Entry is open to Australian residents only aged over 18. The competition is a game of skill and chance plays no part in determining the winners. To enter, individuals must, during the competition period submit the entry form on the Boutique South America website. Competition commences on 01/03/2017 AEST. Entries close 5pm on 30/06/2017 AEST. The judging will take place at Boutique South America, Level 1, 459 Toorak Rd, Toorak, VIC on 14/07/2017 by 12pm AEST. Winners will be notified by email and phone. The Promoter’s decision is final and no correspondence will be entered into. The Promoters have one prize, inclusive of return flights from Santiago to Calama for 2 people, 2 nights accommodation at Luciano K hotel in Santiago in a deluxe room, 2 nights accommodation at Casa Higueras hotel in Valparaiso in a traditional room(possible upgrade on check in depending on availability), 3 nights explora Atacama program in Tulur room including meals and drinks (excludes premium liquors, personal expenses, spa) and airport transfers to and from Santiago, between Santiago and Valparaiso. Total prize value is between AU$7000-$7500. Prizes are not transferable or exchangeable and cannot be taken as cash. The Promoters reserves the right, at any time, to verify the validity of entries and entrants (including an entrant’s identity and place of residence) and to disqualify any entrant who submits an entry that is not in accordance with these Terms and Conditions or who tampers with the entry process. Failure by the Promoter to enforce any of its rights at any stage does not constitute a waiver of those rights. If any prize is unavailable, the Promoter, in its discretion, reserves the right to substitute the prize with a prize to the equal value and/or specification, subject to any written directions from a regulatory authority.. Except for any liability that cannot be excluded by law, the Promoters (including its officers, employees and agents) excludes all liability (including negligence), for any personal injury; or any loss or damage (including loss of opportunity); whether direct, indirect, special or consequential, arising in any way out of the competition, including, but not limited to, where arising out of the following: (a) any technical difficulties or equipment malfunction (whether or not under the Promoter’s control); (b) any theft, unauthorised access or third party interference; (c) any entry or prize claim that is late, lost, altered, damaged or misdirected (whether or not after their receipt by the Promoter) due to any reason beyond the reasonable control of the Promoter; (d) any variation in prize value to that stated in these Terms and Conditions; (e) any tax liability incurred by a winner or entrant; or (f) use of a prize. The Promoters collect personal information in order to conduct the competition and may, for this purpose, disclose such information to third parties, including, but not limited to, prize suppliers and as required, to Australian regulatory authorities. Entry is conditional on providing this information. The Promoter may, for an indefinite period unless otherwise advised, use the information for promotional, marketing and publicity purposes including sending electronic messages or telephoning the entrant. Entrants should direct any request to access, update or correct information to the Promoter. All entries become the property of the Promoter. Prize is valid for travel from the 15th July 2017 – 30 June 2018. Adoption of this prize is subject to availability and confirmation of promoters. The Promoters are Experience Based Travel Pty Ltd trading as Boutique South America (ABN: 92 601 590 845) & Nomade Unique Experiences. ?? ?.